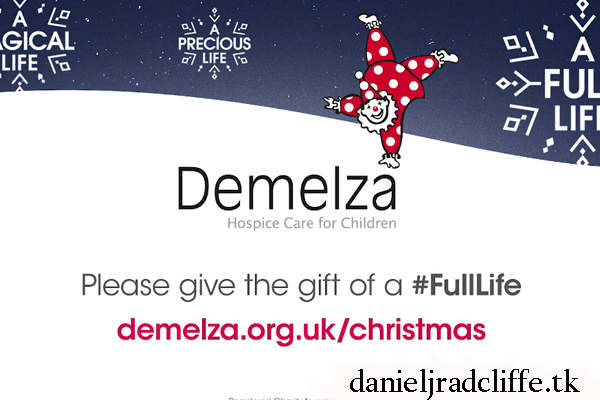 Daniel has lent his voice for a video for Demelza's 2018 #FullLife Christmas appeal. It is set up to raise money to give the gift of a #FullLife this Christmas for children with terminal conditions and their loved ones. For more information and to donate visit demelza.org.uk/christmas. It's also shared on Daniel's official Google+ page. Update: 14th December 2018. You can watch Daniel's thank you message to everyone who has supported the campaign so far right here. With enormous thanks to the families featured, to vice president Daniel Radcliffe for lending us his voice and to Southpaw Creative Agency for gifting this magical film to Demelza. “We’re very grateful to our vice president Daniel Radcliffe, the fantastic team at Southpaw and everyone else who has contributed to this magical appeal. “Most importantly, we extend our gratitude to the stars of the #FullLife campaign – the children and families who appear in it.